Terry Hawkridge graduated from the University of New Hampshire with a BS degree in Business Administration and an AAS in Applied Science. His first job after college was horticulturalist for Root Glen at Hamilton College. Hawkridge was also employed by Blue View Nurseries in Boston, MA, as the key person for insect control and daily retail sales. He also performed landscape design and installations. He returned to Hamilton College in 1983 to oversee horticulture for the entire campus and Root Glen. In 1989, he was named Assistant Director for the College's Physical Plant. 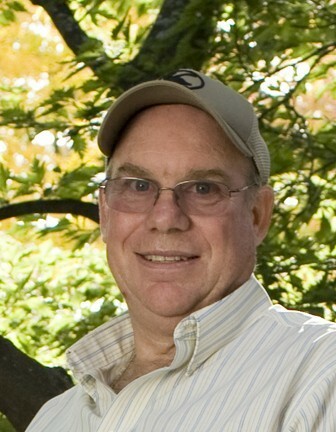 From 2008-2013, Hawkridge served as the first director of the Hamilton Arboretum. Hawkridge has experience as a commercial pesticide applicator and is an ISA certified arborist. He currently operates a tree and landscape company, Horticultural Practices and Rustic Pines, which specializes in tree and landscape services, consultations, and plant health care services with systemic pesticides. Hawkridge is a member of the New York State Turf Grass Association, the NY State Arborist Association, NY State Urban Forestry Council, and is the co-chair of the Planning Committee of the Central New York Conservancy.